Valid till October 14th, 2017. Max Output Wattage is 180 watts and touch screen support! Utilizes newly updated firmware which displays the following information on its LED screen. Features a redesigned body that was designed to be exceptionally comfortable to hold. Requires two 18650 batteries (battery not included). Siren is a GTA specially made for MTL (mouth to lung) vaping, which provides a closer sensation to smoking cigars and conventional cigarettes. GeekVape Zeus is a leak proof RTA designed to accommodate for all RTA lovers from beginners to veteran, Zeus was made to be user friendly while providing outstanding flavor with 3D airflow and eliminates leakage issues by implementing an improved top airflow. The Stentorian Basilisk 200W Box Mod has a striking and unique designs with wonderful performance capability, utilizing high quality dyed resin chassis with a matte texture that. The Basilisk houses dual 18650 batteries (sold separately). The Chipset of the Basilisk has a maximum power output of 200W with a simple to use adjustment for efficient operational usage. A 0.91 Inch OLED screen displays output wattage. It powers can up to 200 watts with a resistant range of 0.1-3.0 ohms. Bottom-push type battery compartment for convenient battery replacement. The EXCEED D19 atomizer adopts an easy way of e-liquid filling system and exquisite adjustable airflow control. New EX series heads with novel designs are meant to provide pure flavor with great vaping experience, no matter for mouth-to-lung or direct-lung. Direct output mode and constant voltage output mode. Including: 1st, Huge Coupons Offers for you. 3rd, Up to 50% Off Shopping Spree. Valid till November 5th,2017. Hurry Up! Valid till November 30th,2017. Hurry Up! Authentic Viciousant 200W Box Mod In Stock Now! This is Authentic Viciousant 200W TC APV Box Mod. Vaping data will be displayed on the bright OLED screen. Also, it has RGB LED lights built-in with five different lighting modes. Multiple modes including Ni/Ti/SS/TCR/KA are available to choose. Lost Vape Modefined Sirius 200W Box Mod Pre-order Now! The Lost Vape Modefined Sirius 200W TC VW Mod is constructed of durable die cast Zinc Alloy and is powered by two high amp 18650 batteries which are accessible through the bottom battery door sled. Its ergonomic chassis has anodized aluminum faceplates for a premium feel and features an easy-to-use 4 button design with an intuitive side mounted display screen. The 510 connector is secured in place by two screws and is made of solid stainless steel with a spring loaded nickel plated brass pin for accurate and optimal conductivity. Modefined combines quality, high performance and versatility making the Sirius Mod an excellent choice for any vaper. 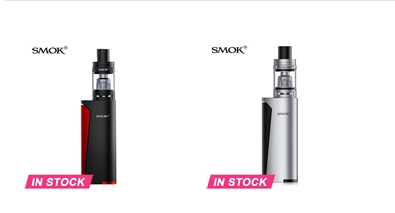 Smok G-Priv 2 Mod with TFV8 X-Baby Kit Silver Pre-order Now! 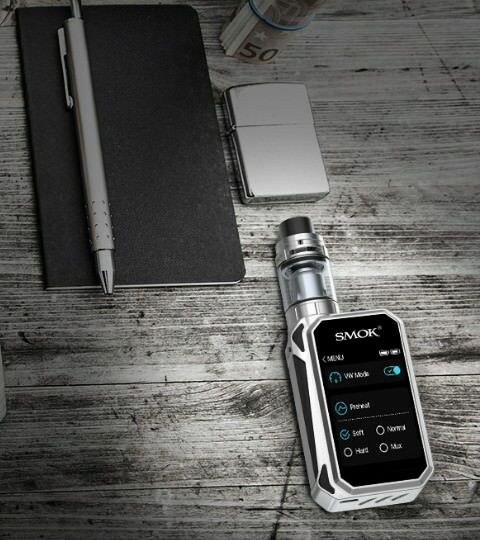 SMOK G-PRIV2 is an advanced version of G-PRIV, a new touch-screen kit from Smoktech. It consists of G-PRIV2 mod and TFV8 X-Baby tank. Compared with G-PRIV, it has a slimmer body and upgraded user interface, with which you can get comfortable hand-feel and a more clear screen with higher definition. The TFV8 X-Baby tank is famous for its top airflow system, combing with Q2 or T6 core, you can enjoy massive vapor and smooth airflow. Innovation keeps changing the vaping experience. TFV8 X-Baby atomizer adopts 4ml juice capacity and Top refill system. G-Priv 2 230W mod features 2.0" touch screen with upgraded UI and with output wattage 230w. Authentic Digiflavor Pharaoh Mini 5ML / 2ML RTA is Available Now! Digiflavor Pharaoh Mini is a flavor RTA designed by Rip Trippers, all details are thoroughly considered to produce the best flavor you can get out of any RTA. 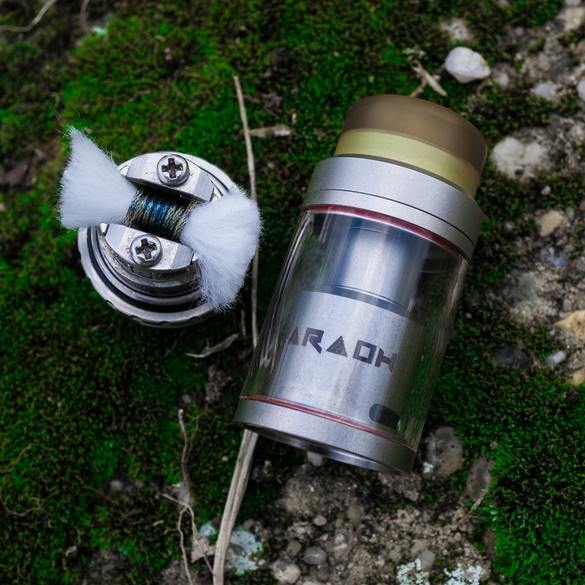 Pharaoh Mini RTA incorporates an interchangeable deck system providing flexibility and options for users. 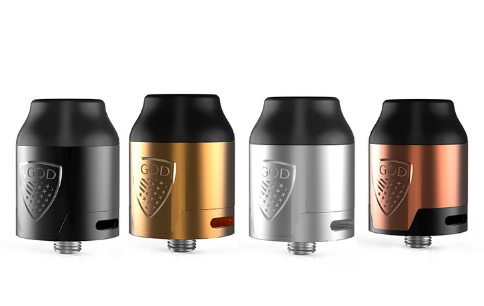 Authentic Digiflavor DROP RDA Rebuildable Dripping Atomizer New Arrivals! 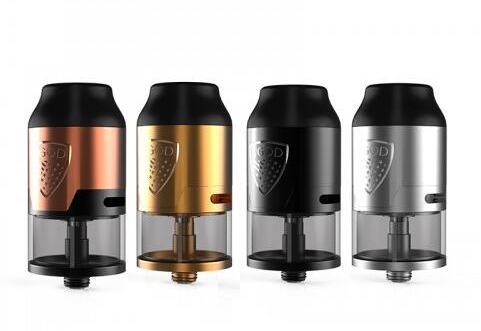 Digiflavor DROP RDA 24mm features 4 huge post holes, the ability to place your coils with ease and plenty of space for cutting your leeds after you have placed your coils in the posts. The conical shaped top cap provides smooth and uninterrupted airflow. The juice well is deep and spacious, combined with the non-intrusive post placement allows for perfect liquid disbursement no matter how you vape.